- For accurately locating working Points on Drill Presses, Lathes, Milling and other Machines. - Set consists of Snap in Holder, Needle Point attachment, Ball contact attachment, Disc contact attachment and Off Set Indicator Holder. - Available in attractive Plastic Pouch. - Hardened and Centerless ground to Precision tolerance. - Locate working edges like shoulders, centering Points and Scribed lines easily & accurately. - Time saving Positioning tool for Jig Borers and other machines. - If the engine is installed in the front, the drive force must be transferred to the rear axle by means of a propeller shaft, in case of all-wheel and rear-wheel drive vehicles. Vibracoustic develops and manufactures various supports and joint types that need to be mounted precisely due to their high rotational speeds. Iec Plant Engineering Sdn. Bhd. We offer a comprehensive range of precision engineered centering devices. These are sturdy in nature and are highly durable. Being heat and corrosion resistant these provide superior functionality. Our centering devices are widely used in automotive and construction industries. We are capable of providing them in both standardized and customized forms. Every Wood Workers appreciates the value of this Tool. Simply place this Tool at the end of round piece of wood and mark 2 different lines. The point of their intersection is the exact center. The length of this finder is 130 mm and maximum dia achievable is 220 mm. We are manufacturing a high quality range of Wiggler or Center Finder Set. 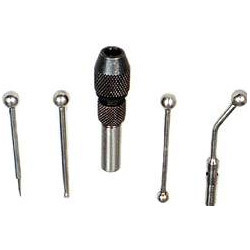 These products are used in multiple tasks like drilling and milling the machines. 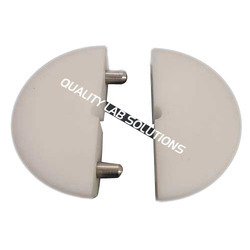 These consist of interchangeable attachment as per the requirement. These products have clutch holder which is adjustable in nature. Our products are available at reasonable rates. We are the leading manufacturers and suppliers of good quality Wiggler and Center Finder Set, which is fabricated using high quality raw material. Our range is highly appreciated by our clients owing to its durability, perfect finish and longer usage life. Our range is very useful tool for locating applications points on milling and other machines.